In 2001, Elon Musk was rocket-less but had Martian ambitions. SpaceX is getting ready to reach a major milestone on the road to Mars. In November, the company will launch its super-powered rocket, the Falcon Heavy, into space. The 230-foot tall rocket will be capable of carrying 37,000 pounds of Mars-bound cargo. 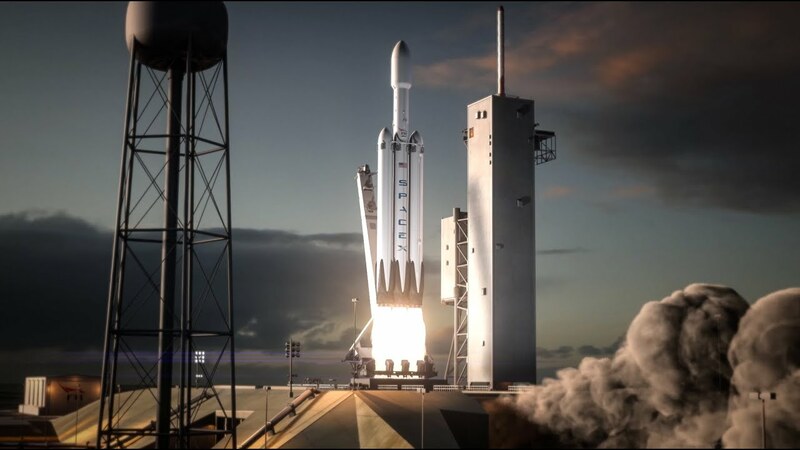 If the test is successful, the Falcon Heavy will become the most powerful rocket on Earth. The Falcon Heavy launch is a far cry from 16 years ago, when the company founder Elon Musk could barely manage a small step, let alone a giant leap. In 2001, Musk had Martian ambitions but no rockets. So he flew to Russia to buy three intercontinental ballistic missiles, or ICBMs. He thought the Russians would give him a good deal. He thought wrong. Awash in cash after selling PayPal, Musk wanted to send something to Mars — perhaps a mouse in a space capsule — to ignite public interest in space exploration. Musk and his partners called the company “Life to Mars,” but they weren’t so ambitious as to consider getting into the rocket-building game. This Russian adventure, however, fueled Musk’s plans to begin manufacturing his own rockets. He founded SpaceX the next year. But still rocket-less in 2001, Musk and his partners Adeo Ressi and Jim Cantrell first went rocket shopping in Paris, where they sought to buy rockets from the European space company Arianespace. But the European rockets were too expensive. During the meeting, however, they got word that the Russians wanted to unload some repurposed ICBMs, so Musk and company flew east. Following this European bender, the Russians visited Musk and Ressi in Los Angeles, where the Russians told them, “We can’t continue unless you give us $5,000 in cash.” Finding five grand on a Saturday is no easy task, but Musk and Ressi borrowed the money from the opulent Mondrian Hotel in West Hollywood.